AA Files is the Architectural Association’s journal of record. Launched in 1981 by the AA School’s then chairman Alvin Boyarsky, the journal appears twice a year and is sent out to members of the Architectural Association, individual subscribers and is distributed to a global network of bookshops. 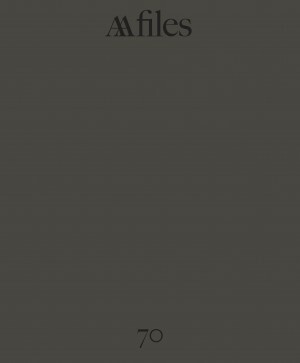 Currently under the editorship of Thomas Weaver, AA Files looks to promote original and engaging writing on architecture. It does this by drawing on the AA School’s own academic research, lecture programme, exhibitions and events, as well as a rich and eclectic mix of architectural scholarship from all over the world. 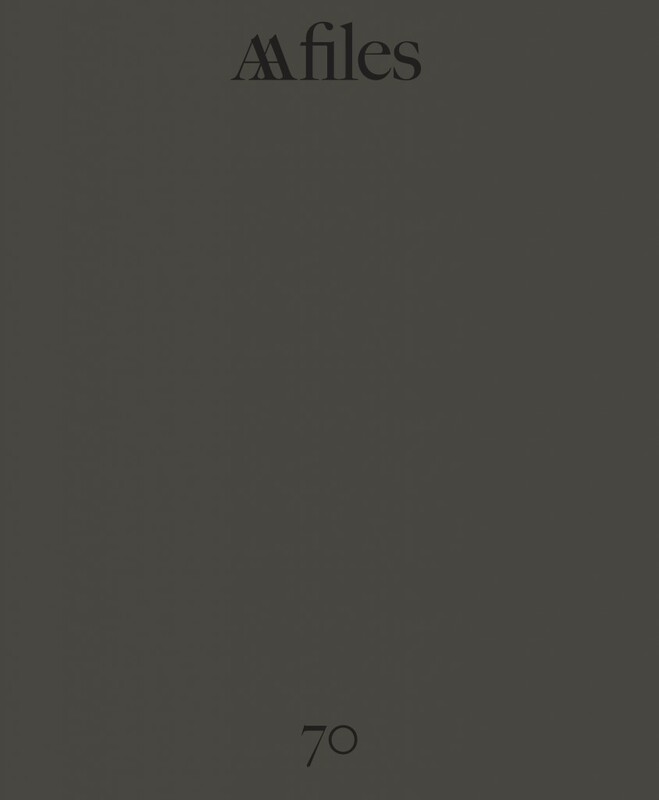 AA Files 70 features contributions by Joseph Bedford, Jesús Vassallo, Andrew Leach, Jean-Louis Cohen, Susan Holden, Enrique Walker, Richard Rogers, Renzo Piano, Dietrich Neumann, Juergen Schulz, Goswin Schwendinger, Gavin Stamp, Sam Jacob, David Jenkins, Paul Vermeulen, Diego Inglez de Souza, Irina Davidovici, Mark Swenarton, Thomas Weaver, Will McLean, Andrew Higgott, Nicolas Grospierre, Diane Ghirardo and Paul Mason. London, 2015, 29.7 x 24.5cm, illustrated, 176pp. Paperback.